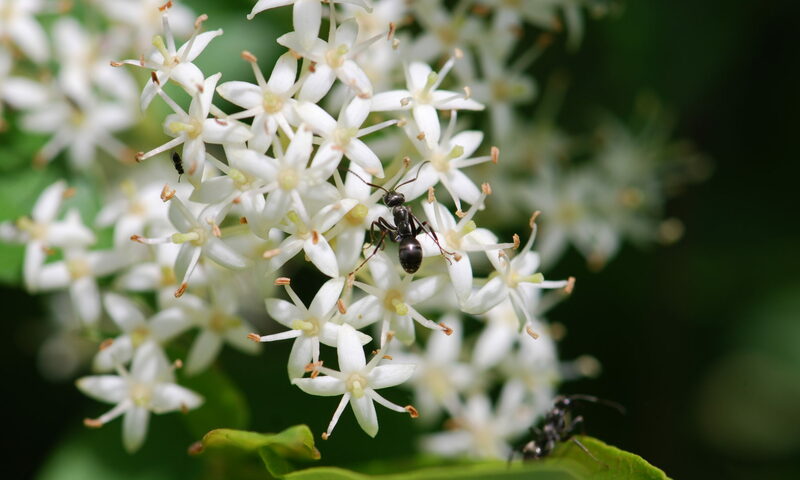 I am currently working on a project involving the extraction, study, and slight tweeking around of ant pharamones. 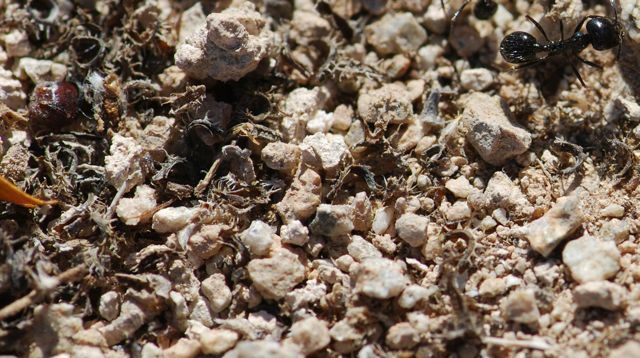 The largest ant in area is Messor Pergandei, and before I could capture a nearby nest they seemed to completely stop all serface activity, but close examination clearly showed that they had not abandoned the nest. In response I held off on gathering them because I didn’t want to upset their natural super-organism behavior. My question is if you know whether this species may go dorment in response to seasonal change, especially sense they are almost exclusively seed suckers. 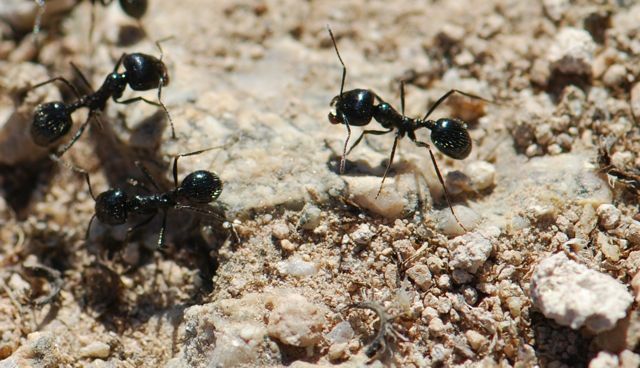 I have noticed jet black ants arould the area that are only a third the size and have many more colonies with far more workers then your fire ant size Messor Pergandei. These ones share exactly the same body structure, diet, and the same behaviors except that they are still out having fun. I am unaware of any subspecies to MP but if you have any imput. 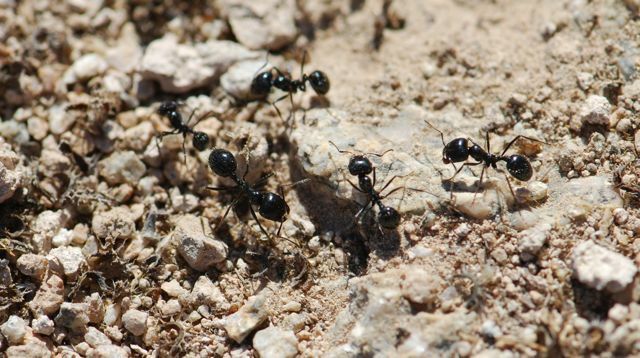 Also, it is my understanding that some harvester ant species can have a gamer if something happens to the queen. I was wondering if you knew Messor Pergandei to share this trait. If it does, having multiple colonial test subjects to work with could be that much easier. On the day I took these photographs it was cold, and I did notice that the Messor ants were less active than some of the other species in the area. As I understand, Messor nests are rather difficult to excavate, so I’m not sure how much is known about their overwintering status under natural conditions. In some areas here in the southwestern United States Messor pergandei has been shown to have multiple queens. You might want to check Cahan’s papers for more information about that. Anyone else have any ideas for Robert?